An Illinois man was fuelling up his vehicle with his 11-year-old daughter inside when a carjacker unexpectedly jumped in the car and took off. “I started punching the window, letting him know my kid was in the car. She was screaming, but he didn’t even look back. He didn’t care,” said Mark Beasanski of Aurora, the Daily Herald reported. In security video posted by a store clerk, the man’s daughter, Kayla, can be seen falling out of the moving vehicle and onto the ground early Friday morning, May 4. As his Jeep Cherokee pulls away from the pumps, Beasanski can be seen leaping onto the hood of a blue Dodge Charger driven by the carjacker’s accomplice as it accelerates out of the frame. Moments later Beasanski walks back and embraces his daughter. “I just reacted the best I could,” Beasanski said, according to the Daily Herald. 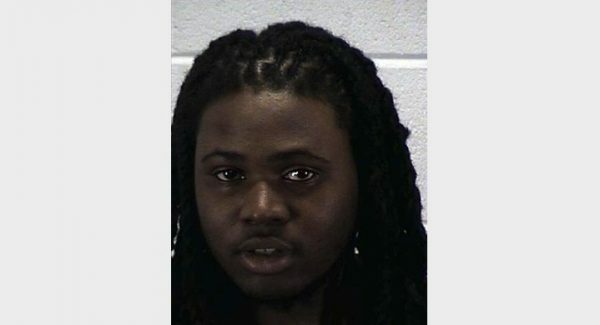 Citing Aurora police and the DuPage County State’s Attorney’s Office, the Chicago Sun-Times reported that 20-year-old Tyrelle L. Pulley was arrested and charged with aggravated vehicular hijacking, aggravated unlawful possession of a stolen motor vehicle, and fleeing and eluding police. The accomplice has not been taken into custody yet, according to the Daily Herald, citing police Sgt. Eric Westrom. He urges people to exercise greater caution. The carjacking took place at a gas station on the 1200 block of North Eola Road, not far from Beasanski’s house. His daughter suffered a cut on her ankle and some emotional trauma. Westrom told reporters that carjackings are infrequent in Aurora, a suburb of Chicago. “We haven’t had too many of those,” he said, noting that the incident represents the municipality’s first carjacking of the year. Westrom said he doesn’t believe that in Aurora there’s a pattern of increased incidence of this type of crime. ”I don’t see it as an issue,” he said. But Chicago itself has seen a rise in carjackings since 2014, according to the Chicago Tribune. The paper cited Chicago police Sgt. Rocco Alioto as saying that in 2018, there have been 271 carjackings in the city, compared to 279 around the same time last year. According to FBI statistics released in September of last year and reported on by Quartz, violent crime in the United States is up, including homicide. The increase in murder rates is mostly concentrated in several big cities—with Chicago accounting for about 20 percent of the rise between 2015 and 2016. Violent crime in the United States overall has gone up by 4.1 percent.